This Eleph an Faerie's first Best in Show award together. Eleph an Faerie are made up of two very talented cosplayers, Genius Program (Gen) and Airedail. Gen has been sewing and creating costumes since 2009. Airedail started about five or six years ago creating skits and competing at contests. They teamed up this past year after testing out how well they worked together. Apparently, they do very well as a team since they took home the Best in Show prize at Anime Oasis 2014. Combining Gen's sewing skills and Airedail's performance skills, these two feel like they can start taking on the big guys at WCS. I certainly have a lot of confidence in their skills! 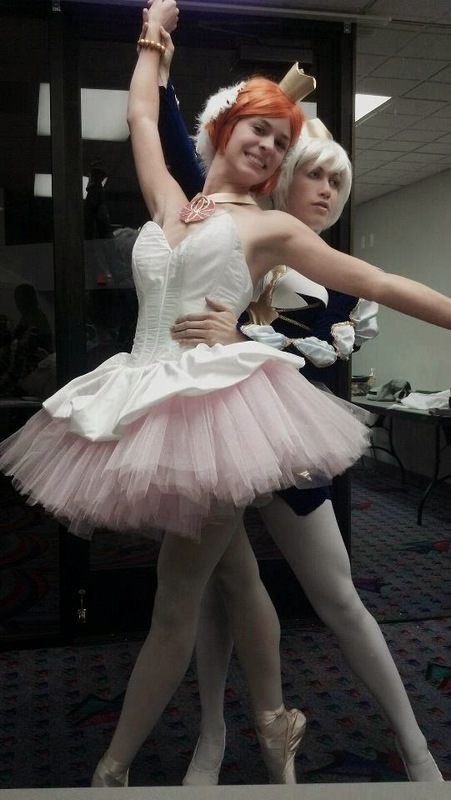 How did you two get started cosplaying? Gen: I got started back in 2009 when I was invited to go to Anime Banzai with a friend. 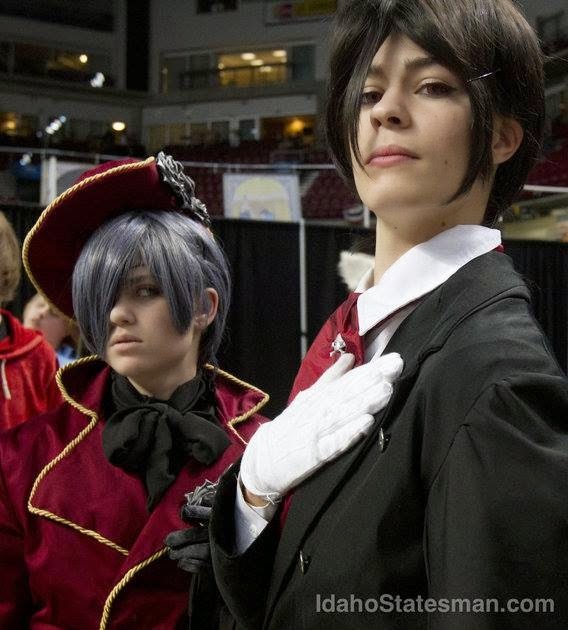 I had just seen Ouran High School Host Club and wanted to be a person from that. So I ordered a costume, found a wig...Tried to dye it. (Failed horribly) and went on my merry way! After that I started sewing my own costumes and I've been on fire ever since! Airedail: My friends and I were role playing before I started cosplaying. We played games in our backyards and even made short films. I took sewing lessons when I was 12, but never was able to use it. My friends showed me some anime, and I loved it. 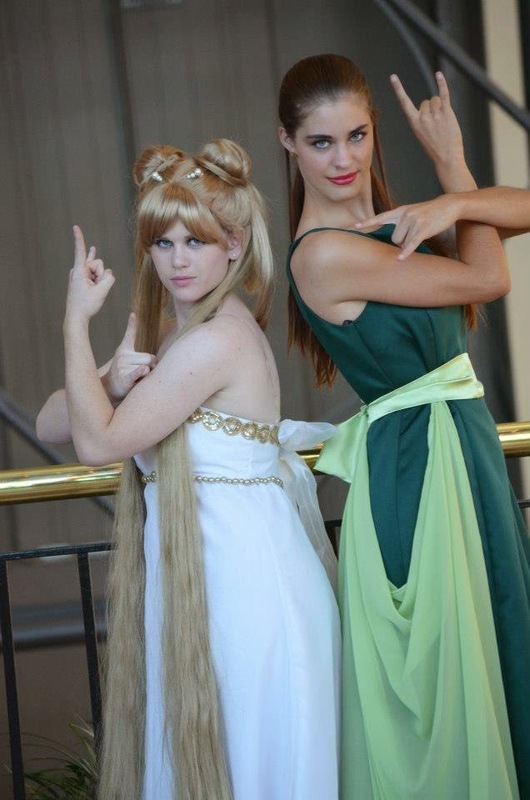 My friend Rissa invited us to go to Anime Banzai about 5-6 years ago, and cosplaying has been our thing ever since. We went from just doing group cosplay, to performing skits, to entering craftsmanship and performing skits. Fun Fact: Airedail can dance and she dances well! She can Ballet, waltz, and party. What pushed you to take on World Cosplay Summit and how did you choose each other as teammates for this daunting task? Airedail: Gen is actually the reason why I have -some- ability to sew again. I'm not as good as her, but we work well together. She is the master seamstress, and I guess I am kind of an artistic director. I do a lot of choreographing, directing, and audio editing. Gen is a fantastic performer also, and I can keep up with sewing, so we have specialized talents in different fields, but we can work together well. Plus we have fun working together into the dead of night trying to get deadlines met. Gen: I wanted to try for WCS because it sounded like such a great experience. We would get to meet new people, make new friends and learn a lot of new things. I invited Airedail because I knew we worked well together and that has been proven time and time again during competitions. Gen in an original Steampunk design. 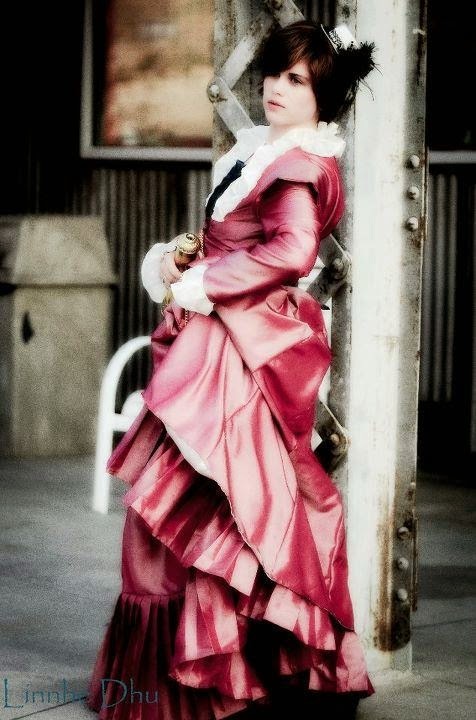 Fun Fact: Gen made this entire, 9-yards-of-taffeta, dress in one day! This is you first time ever competing for WCS. What do you look forward to the most? Airedail: This is our first time. I'm personally looking forward to performing. I'm also curious of what the experience will be like. Gen: So much yes! Haha! Airedail: I feel super focused right now. How long have you been preparing for WCS? Airedail: We've technically have worked on this skit for a year now I believe. The skit concept has been in progress. The costumes have been in progress since May. What are you most nervous about with the contest coming up so quickly? Airedail: Our costumes. Once again, my marriage kinda slowed process down. And our set too. Gen: Yes, getting everything done in time and having everything work out the way we want it to. But Airedail and I are pretty good at improvising should the need arise. 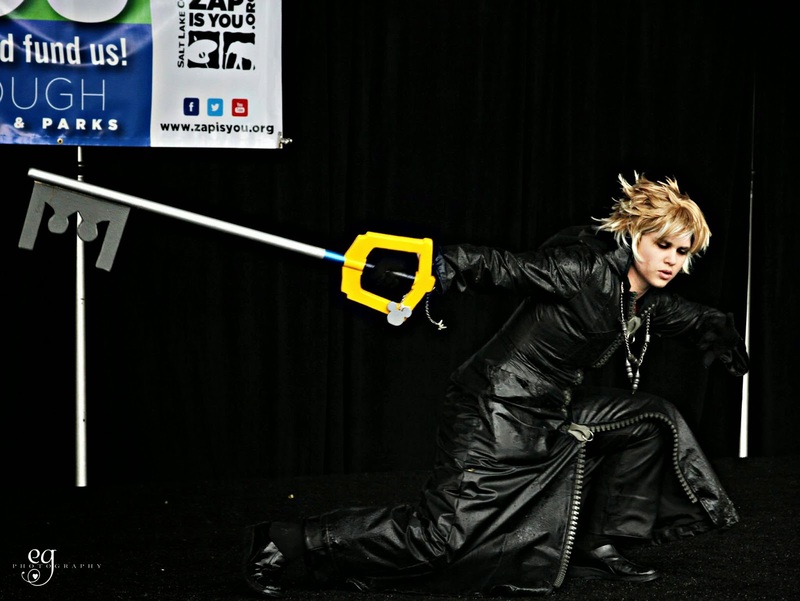 Gen as Roxas, Kingdom Hearts. I am very excited to see you both compete this year! Any words of advice to anyone wanting to start cosplay or look into WCS? Gen: Definitely, give yourself a lot of time. Make a little bit of progress every day. And go into it with the attitude that it's a new experience. The resume is a huge deal. Get that put together and ready to go before the due dates open up. Plan for which qualifier you will go to, then make sure you have your hotel and other arrangements made ahead of time so you don't scramble to find them last minute. Airedail: Make sure you have plenty of time to get everything done. Make sure everything you want to work (costume changes, props, cues, etc) can work. Have time to get the logistics down. I look forward to watch the WCS pre-lims for 2015 at NDK next week and seeing these two awesome girls compete! Good luck Eleph an Faerie!!! Gen, Really glad to see this cool collection. 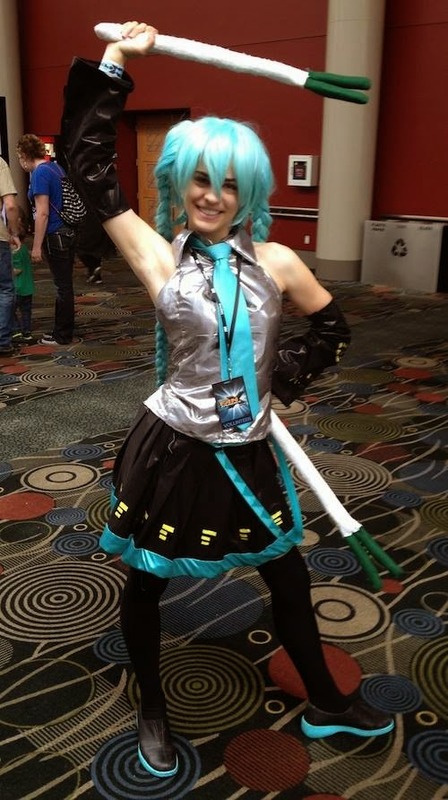 You're truly a talented and original Cosplay star.